The clean lines of this pull fit several design aesthetics including traditional and casual home decor and would be a beautiful accent to any cabinetry or furniture. Multiple finishes and sizes available. Installs easily with included hardware and is a noticeable change for any cabinetry. The Liberty 3-3/4 in. Flat Black Martini Classic Pull gives modern cabinetry a sleek, elegant look. It features a 3-3/4 in. center-to-center, rear-mount design for easy installation. The metal base material is built to last and is coated in a handsome flat black finish. Includes two 8-32 x 1 in. machine screws for easy rear mount installation. Use the Liberty 3-3/4 in. 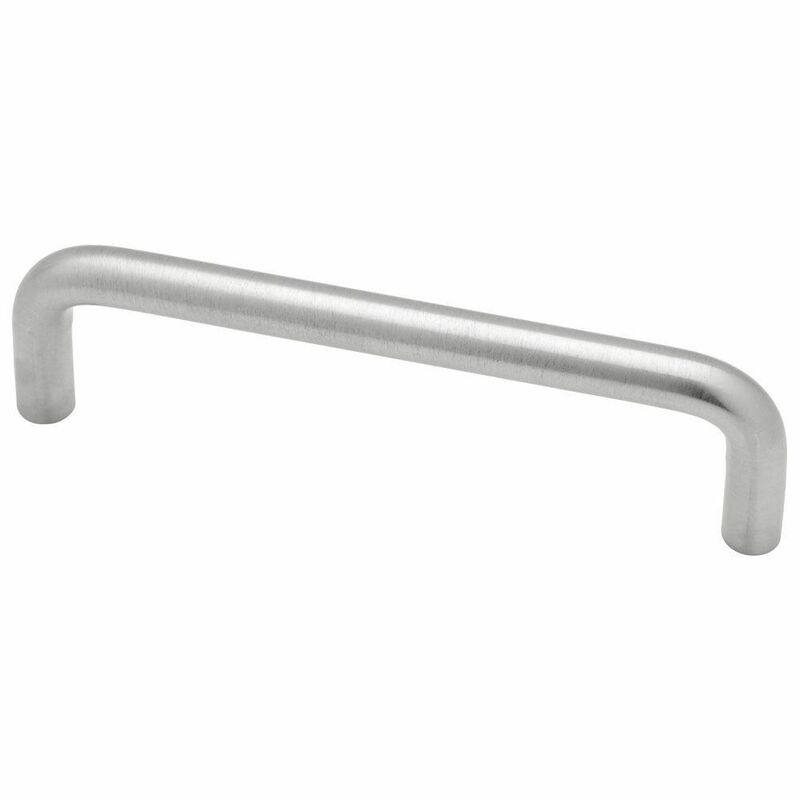 Satin Nickel Rope Edged Pull to add flair to your cabinetry or furniture. It features a 3-3/4 in. center-to-center, rear-mount design for easy installation and a durable metal base covered in a beautiful satin nickel finish. Mounting hardware included for easy installation. 4IN Wire Pull, 1 per pkg The clean lines of this pull fit several design aesthetics including traditional and casual home decor and would be a beautiful accent to any cabinetry or furniture. Multiple finishes and sizes available. Installs easily with included hardware and is a noticeable change for any cabinetry. 4IN Wire Pull, 1 per pkg is rated 5.0 out of 5 by 3. Rated 5 out of 5 by Carolyn from Just what I wanted and expected. Very pleased.... Just what I wanted and expected. Very pleased. Rated 5 out of 5 by Digger45 from These fit good. Every one had good finish and... These fit good. Every one had good finish and good threads. Each one had 2 different length screws and they sent 4 extra. Rated 5 out of 5 by Jack from The cabinet pulls matched others in the kitchen and worked... The cabinet pulls matched others in the kitchen and worked out just fine!